Back in August we learned that the popular strategy series Age of Empires would return as, oddly, a colorful online game. Odd? Let's look at 2011's Age Of Empires Online in action, shot today in Manhattan. A Microsoft representative talked through a demo of the game for Kotaku during a showcase of the company's upcoming hardware and software. 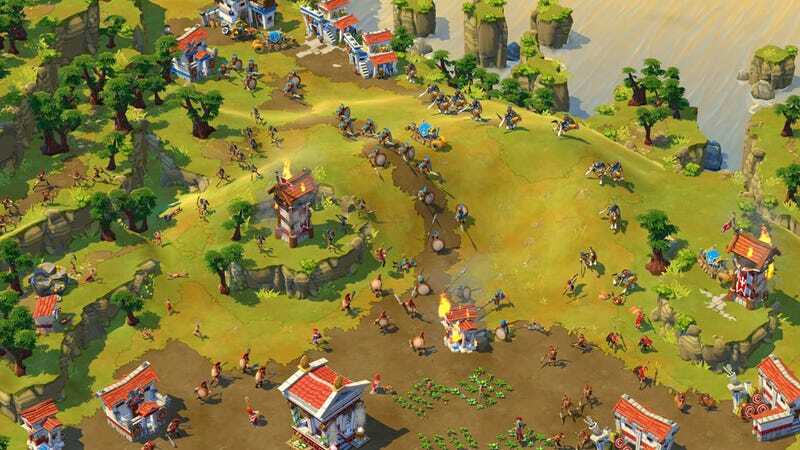 Age of Empires Online will be out next year, from Microsoft Games Studios and Robot Entertainment.